When cleaning out their hooves check for puncture wounds, abscesses and thrush. 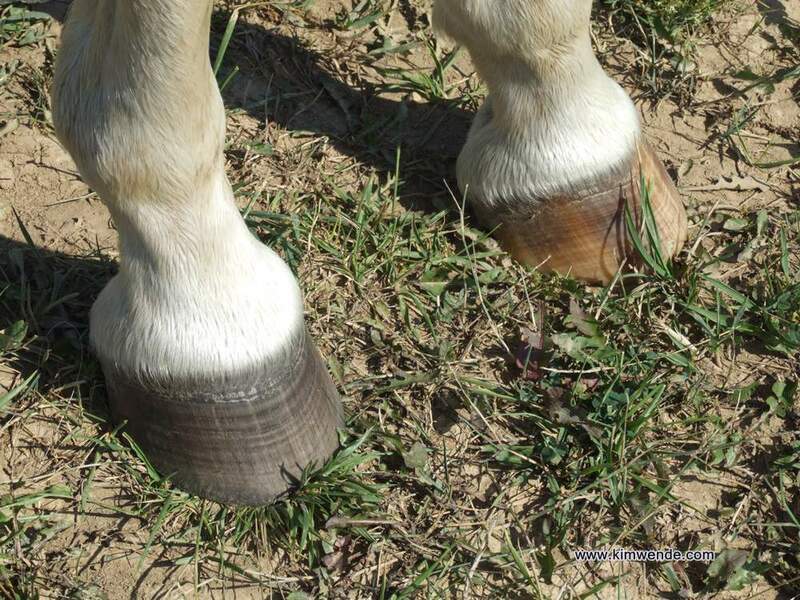 If your horse has shoes on check to see if the shoe is loose, has shifted or shows uneven wear. If the shoe is loose call your farrier, you sure don’t want it getting hung up on something and cause injury to your horse. If you have lots of problems with your horse’s hooves you may need to add something to their diet such as vitamins or minerals. Poor quality feed will effect your horse’s hooves. If in doubt check with an Equine nutritionists. very soft and cause thrush. 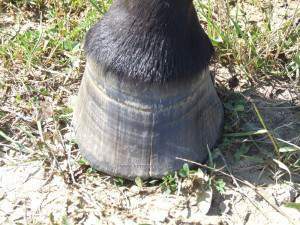 Dry conditions will cause the hooves to break, contract, crack and grow brittle. Exercise is very beneficial to the horses hooves it promotes hoof growth and strength. Get your horse’s hooves trimmed every six to eight weeks although you may be able to go twelve weeks in the winter because the hooves grow slower. How often do you clean our your horse’s hooves?